Crowdfunding in Belarus experienced a spectacular surge in 2015, with the trend continuing in 2016. Leading Belarusian crowdfunding platforms Talakosht, MaeSens, and Ulej became increasingly effective in supporting cultural and social projects, charities, and socially responsible businesses. One of the most recent examples is a project at Talaka.by, featuring a 1:10 scale reconstruction of the castle of Krewa. The initiators want to popularise Belarusian history and attract more tourists to north-western Belarus. These initiatives are important not only because they encourage grassroots civil activism, but also because they allow more fundraising opportunities. The government of Belarus still severely restricts obtaining funding from abroad. However, crowdfunding has a limited potential as a major source of funding due to the small amounts of donations. Talaka in Belarusian refers to an ancient folk tradition of the community helping individuals in need: for instance, in the construction of a house or helping out with the harvest. Its modern incarnation is Talaka.by, a web-based non-profit organisation. It specialises in networking and connecting people with creative ideas. The crowdfunding spin off of Talaka.by is Talakosht. One of the essential conditions for projects here is their social importance. First, people declare their readiness to support the campaign. At the next stage, these “promises” materialise into donations. According to Talaka.by, around 80 per cent of “promised” donations turn into real money. The funding scheme is flexible, working either through “all-or-nothing” or “keep it all” models. Currently, Talaka hosts over 250 active projects, primarily in the educational, cultural, and social spheres. Successfully implemented ideas range from a festival of street graffiti art, free bike rentals in Minsk, to Belarusian dubbing of the cartoon Peppa Pig. The latter was very popular, collecting over $3,000 and exceeding the originally planned amount by 63 per cent. On 12 April, Talaka users pledged financial support to Vital Hurkou's trip to the Muaythai World Championship, scheduled for May 2016 in Sweden. The Belarusian Ministry of Sport refused to finance Hurkou's trip, even though he is a leading national and world athlete in Muaythai. Officials appeared to be unhappy about his involvement in the rock band Brutto, known for its government-critical positions. Recent newcomer on the Belarusian crowdfunding scene with a more pro-business orientation, Ulej (beehive), launched in spring 2015. In contrast to Talakosht, Ulej is a for-profit organisation, collecting a 12 per cent commission on successful projects. It operates according to the “all-or-nothing” model of the world leading crowdfunding platform Kickstarter. Statistically, around 40 per cent of all projects at Ulej succeed in collecting the required funds. Ulej supports a wide range of initiatives, with a focus on their originality and benefits to the public. For beginners, the platform offers crowdfunding training resources. Authors can promote their projects for free, receiving support and feedback from the platform. Currently, the most popular projects at Ulej are charities, literature projects, and urban initiatives. 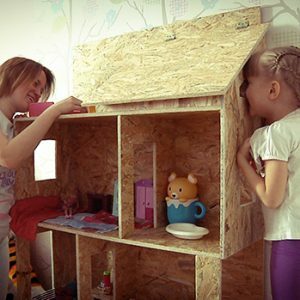 Successfully implemented ideas include translations of fairytales for iPhones and iPads, publications of children's books, a map of Belarusian cuisine, and a toy house for the orphanage. Within a year of its establishment Ulej had collected over $71,000. An average donation is about $23. Examples of crowdfunding initiatives at Ulej also demonstrate a new approach to charities. Emphasis on creative and unconventional ideas allows one to highlight existing problems in a new way and to receive more positive responses, compared to traditional appeals to compassion and call of duty. However, beyond charities, crowdfunding remains an unreliable source of funding. MaeSens (in English:“It makes sense”) started in October 2011 in Minsk. It operates on a slightly different principle to Talakosht and Ulej, defining its mission as a unique combination of social networking with electronic auctions. MaeSens attracts funding for social projects by offering so-called “meeting auctions.” Users can place bids for an advertised meeting with a project author or a celebrity. The highest bidder receives the rights to the meeting. All proceeds from the auctions go towards supporting a selected cause or a charity. Currently, more than 85,000 people have actively used the platform, collecting over $300,000 for orphanages, social shelters, charity organisations, and sick children. These causes have attracted Belarusian and foreign celebrities, including the athlete Aliaksandra Herasimenia, former presidential candidate Tatsiana Karatkevich, founder of Tut.by Jury Zisser, as well as music stars Robby Williams and Three Days Grace. In June 2013, MaeSens launched the Social Weekend contest. It aims to support development of the non-profit organisations and youth initiatives active in social and cultural spheres. Another goal is the promotion of social entrepreneurship and social investment. So far, over 750 projects have participated in the contest, resulting in $75,000 worth of investments. In this way, crowdfunding opens up new routes not only for civil society and charities, but also for businesses. However, one concern is possible attempts by the state to control grassroots initiatives. Belarusian legislation has not yet developed extensive regulations for crowdfunding activities, which so far have been treated as donations, subject to the standard 13 per cent income tax. But this might change quickly, especially in light of recent trends of searching for quick revenues for the budget. Currently, Belarusian crowdfunding platforms are still a relatively new phenomenon. They are effective tools to test ideas and identify projects that ordinary Belarusians deem worthy of supporting. However, the impact of crowdfunding remains limited, as it has not yet reached the capacity to support large-scale projects. From the economic point of view, crowdfunding promotes social entrepreneurship and micro investment, leading to the democratisation of the economy. Yet the main question here is whether the state will choose interference or foresight. At the end of the day, crowdfunding has the long-term potential to support independent competitive projects and to create more jobs for the economy. Belaya Rus: Lukashenka’s “Ruling Party”? Head of the Belarusian Central Electoral Commission Lydziia Yarmoshina on 20 April instructed activists of the Belaya Rus public association on the novelties of the upcoming parliamentary campaign. When asked why she picked this particular organisation for a briefing, Yarmoshina recalled that most local officials are members of Belaya Rus, so it gathers the actual managers of the electoral process. Indeed, Belaya Rus, established in 2007, now unites the majority of Belarusian officials, some famous sportsmen, artists and even the management of state companies and banks. Not being formally a party allows this organisation to act under the legal framework of civil society, while at the same time exploiting the full capacity of the state's administrative resources. A future political transformation may imply different scenarios for Belaya Rus. It could either become a core element of a controlled power transition or sink into history after President Alexander Lukashenka leaves his post. Why not make a formal ruling party? Belaya Rus was established in late 2007 in preparation for the 2008 parliamentary elections. Officials throughout the country "suddenly" decided to unite local associations of Belaya Rus, subsequently transforming them into a nation-wide movement. Minister of education, Lukashenka’s university mate Alexander Radzkou, chaired the association. The absolute support of the president remains Belaya Rus’ sole ideological tenet. The association currently has more than 160,000 members. This exceeds even the overall number of civil servants in the country. Top- and mid-level managers of state companies and banks were also asked to join. At the time some said Lukashenka was creating a ruling party to safeguard the transition of power to his older son Viktar, or to another successor. The Belarusian ruler denied having any connection to the Belaya Rus' establishment. Since then, the leaders of Belaya Rus have regularly announced that they are ready to become a party. Lukashenka has neither firmly opposed the idea nor supported it. He has just made evasive comments like: “Well, if they are ready — let them be party, I am not against it. On the contrary, I will support it because they are patriots. But I wouldn't advise them to hurry”, as he said in 2012. Lukashenka opposes the idea of a ruling party primarily because the current personality-based system fully satisfies him. Inserting a ruling party into an authoritarian regime (like in Russia or Kazakhstan) requires establishment of sparring-partner parties to make the system look competitive. Lukashenka is not a fan of such sophisticated political games. He also exploits the image of the people’s president. Lukashenka strives to be the “political Robin Hood”, protecting the weakest from the occasional abuses of officials. Such a leader does not need intermediates between him and the people. Finally, Lukashenka made his own political career by opposing the defectiveness of the Communist Party nomenclature during perestroika. When the economy stagnates, the ruling party and its bureaucracy canalises people’s anger onto itself. The seemingly unshakeable 20 million strong Communist Party crumbled like a house of cards then. Formally, Belaya Rus is an NGO. Having most national and local officials as members, it possesses huge administrative resources and helps the government in its ideological activities. For instance, it can mobilise participants for rallies, cultural and sport events, state holidays or parades. One of the most recent examples was the series of folk concerts titled To Love Belarus that took place in all regions of the country, co-organised by Belaya Rus and state TV. The concerts finished the day before the presidential election of 2015 and had an obvious pro-Lukashenka branding. Obviously, an employee of a state-owned factory or a teacher can hardly refuse the “recommendation” from his or her boss to attend such an event. 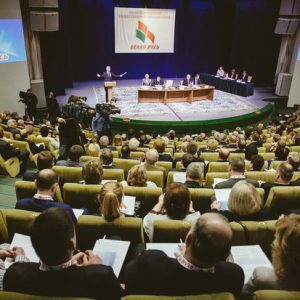 Like the Federation of Labour-unions of Belarus (FPB), the Belarusian Republican Youth Union (BRSM) and unions of women or veterans, Belaya Rus is a classic "government organised NGO" (GONGO). All of these mobilise people for state-organised events. However, the major function of Belaya Rus is election campaigning. First of all, it can provide thousands of “volunteers” to collect signatures for Lukashenka or pro-governmental MP candidates. The usual tactic is to use administrative resources to collect ten to 15 times more signatures than the law requires. This is a way of showing how overwhelming public support remains. Then, Belaya Rus, again as an NGO, is entitled to receive donations. Naturally, big state-owned companies cannot refuse to donate money to this association when they are “kindly asked” to. Organisation for Security and Co-operation in Europe (OSCE) observers criticised this practice in their 2015 elections report, claiming it to be an indirect way of financing Lukashenka's campaign from state funds. Thirdly, Belarusian electoral law requires at least 30 per cent of precinct electoral commissions to represent NGOs or political parties. To avoid including opposition parties and activists through this quota, local authorities rely on pro-governmental parties and associations. Belaya Rus remains beyond any competition. Can it become something bigger? In the current political system, Belaya Rus fulfils its functions relatively well by just being a public association. However, growing economic problems are likely to challenge the political construction of the regime. At the same time, Lukashenka is becoming older. In the mid-term perspective, Belarus is approaching some form of political transformation. The role of Belaya Rus in any upcoming power transition to a large degree will depend on the pace and the economic context of this process. If things get chaotic and Lukashenka is either overthrown by protests or betrayed by subordinates, Belaya Rus is unlikely to find any significant place in the next political configuration. When you have no ideology, besides supporting one leader, you often sink into history with him. Exactly this happened to the Party of Regions in Ukraine after President Victor Yanukovich was overthrown in 2014 and to the Union of Citizens of Georgia after the forced resignation of President Eduard Shevarnadze in 2003. However, if the transformation in Belarus goes more smoothly, Belaya Rus may have a place in it. For example, an ageing Lukashenka could use it to legitimise his successor within the state apparatus and in the eyes of people. In any case, Belaya Rus seem to have more promising political perspectives in comparison to other GONGOs. Unlike BRSM or official trade-unions, this association has broader membership criteria, includes many high-ranking officials, exploits the full potential of state administrative resources and positions itself as a force with political objectives.